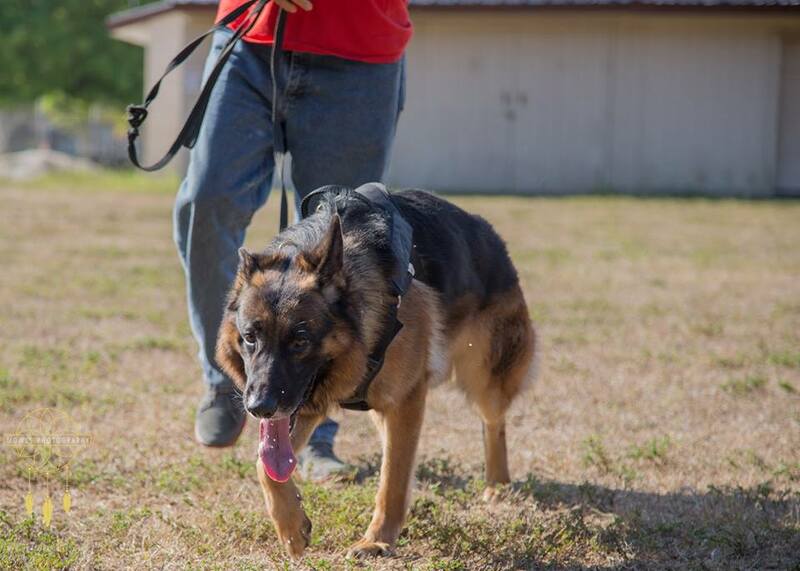 Welcome to the Gulf Coast Schutzhund Club, Ft. Myers, Inc. Our club is a non-profit training club. As a Schutzhund Club, our members have various breeds of working dogs. However, we are primarily dedicated to the fun of training our German Shepherd dogs to the German Standard of the Schutzhund title. This website is to inform you about our club and to serve as an invitation to all who share our passion and love for dogs and their proper training. Go behind the Social Club and behind the rear parking lot is a gate you may drive through to get to our training field. 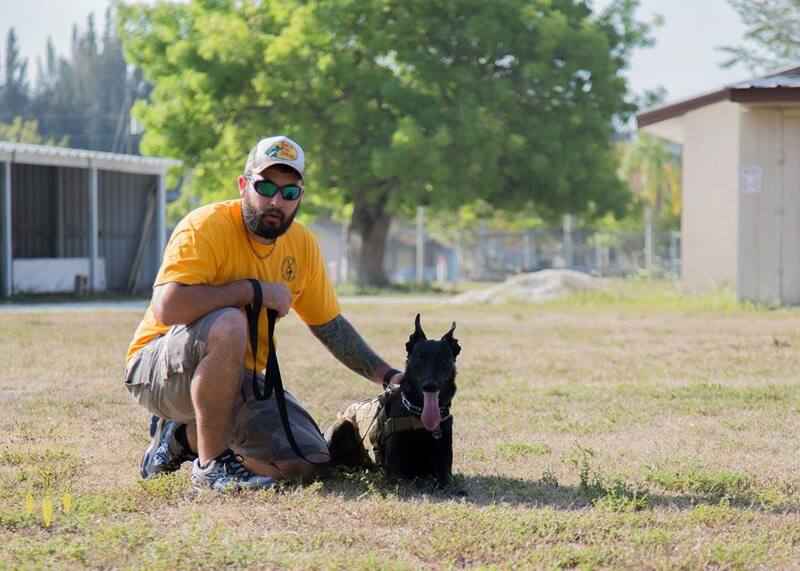 The Cape Coral Police Department trains their K-9s on the same field. We want you all to know something about our club officers and trainers. We want to enter each new member into our Member Directory available at our sign-in table each training session. Steve is originally from Maryland. He has been in Cape Coral since 1983. He has been around shepherds his whole life as his father raised the breed as a security guard. Steve started his own boarding/obedience business Happy Tails Pet Services for in 2014 with his wife Meri. He has studied animal behavior to assist with his American Bulldog Mr. Magoo, who has fear and anxiety issues. 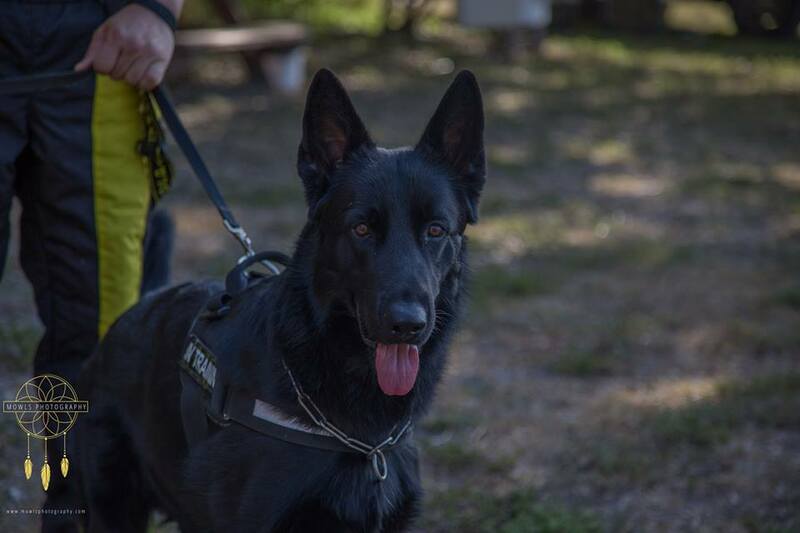 Steve found Schutzhund has made a big improvements in his dog. Tina was born in Norfolk, VA to a Navy family. She grew up all over the United States, and also spent time on Midway Island in the Pacific. Tina is a retired paramedic from Prince Georges Fire Department, and currently works as a realtor-broker here is Lee County. Tina and her husband, Mike, have been in Cape Coral since 2003. She and Mike train their dog “Thor” who loves to work. Sheila is originally from Milwaukee, Wisconsin, moving to Cape Coral in 2015 when her husband Jeff retired. They have both had dogs since they were kids and have had 3 GSD’s together. Sheila spent 22 years as a Library Media Specialist in several school districts in Wisconsin and is currently a LMS for a Lee County Elementary School. She loves working with her dog “Luna,” as well as helping with others.